The international money will go to their overall pool, presumably to help build their case to sign Shohei Ohtani. The Mariners are trying to everything possible to make the dream of signing Japanese phenom Shohei Ohtani a reality. On Thursday, general manager Jerry Dipoto traded hard-throwing minor league reliever Thyago Vieira to the White Sox for additional international slot money. That money will go to Seattle’s overall international bonus pool, which will of course be used to help enhance the club’s presentation package to bring Ohtani to Seattle. The amount of money acquired was not made public. But MLB.com reported that the Mariners acquired $500,000, giving them a total of $1.5575 million to offer. Vieira, 24, made his big league debut this season with the Mariners on Aug. 14 vs. the Orioles. He pitched one scoreless inning. He started the season with Class AA Arkansas, posting a 2-3 record with two saves and a 3.72 ERA in 28 appearances, including 35 strikeouts in 36 1/3 innings pitched. 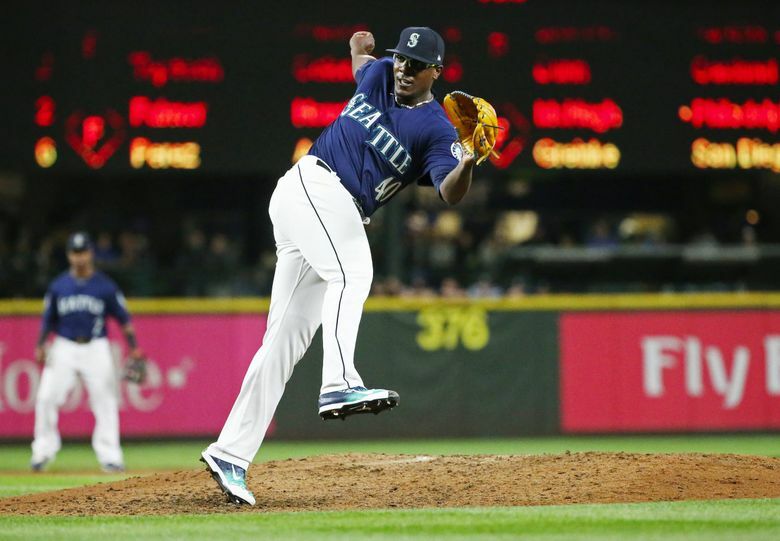 He was promoted to Class AAA Tacoma on July 19, he went 0-1 with two saves and a 4.58 ERA in 12 appearances with 11 strikeouts and seven walks in 17 2/3 innings pitched. A native of Sao Paulo, Brazil, Vieira signed with the Mariners as a non-drafted free agent in September of 2010. Blessed with a fastball that could touch triple digits, but minimal of understanding of where it would actually go when it left his hand, Vieira nearly washed out of the organization. However, minor league pitching instructor Ethan Katz took an interest in Vieira during spring training of 2016. The two men worked diligently to rework his mechanics and his day to day routine, the reset worked and Vieira had a breakout season with Class A Bakersfield, posting a 2.84 ERA in record in 34 appearances. Vieira was placed on the 40-man roster last offseason and invited to big league spring training where he flashed the big fastball and also displayed some issues with his slider. He also earned an invite to the prestigious futures game.